Mom and I had wanted to visit the Kinsale Inn Restaurant in Mattapoisett for quite some time, however, they closed their doors in 2012. 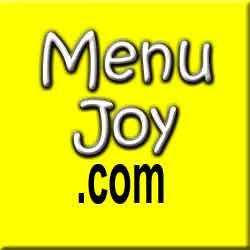 Recently, we decided to check out the online menu for the restaurant that took its place. Once we saw what they offered for appetizers, we set off for The Inn on Shipyard Park. The restaurant is inside of a working inn that – according to the website – is the oldest running inn in the nation. The building is settled in quaint Mattapoisett Village and has a beautiful screened porch where customers can sit and overlook the harbor. Mom and I headed inside and found that the dining room was as cozy as we expected. There is also the bar area where a few musicians were setting up for an evening performance. Because we already knew what we wanted thanks to the online menu (click here to view), we were ready to order. We decided on the fresh lump crab cakes ($11), baked gouda skillet ($12) and a pizza topped with bacon, feta cheese and pineapple ($11.99). The toppings were Mom’s personal concoction. Emily brought over the appetizers first. Mom and I didn’t know where to start. Everything was beautifully presented and had an out of this world aroma. The baked gouda (baked with cream, shallots and garlic) was served with eight buttered crostini for dipping. The flavor of this dip was fantastic. Both Mom and I wanted to stick our faces in the skillet. It was one of our favorite appetizers of all time. It was fun to eat, the crostini was crisp without being too crunchy and the gouda was delectably tangy. The lump crab cakes were simply divine. They were stuffed with fresh crab and a mix of tasty veggies. The two large cakes were sitting on a drizzle of lemon-sriracha aioli, and although I could have used more of the aioli (only because it was so yummy), you could feel the heat from the sriracha. Our pizza arrived steaming hot and loaded with Mom’s crazy toppings. I loved the amount of feta cheese they used because I’m obsessed with all things feta. This particular thin crust pizza was just awesome. It held the toppings well and Mom’s choices – the sweet pineapple with the savory bacon and the salty feta – was perfect. I’m drooling just thinking about it. Mom and I were stuffed to the gills. This was a fantastic find. Our total came to $55.24 and it was worth every penny. The restroom was as clean as the dining room was. If you haven’t visited The Inn on Shipyard Park, you need to get yourself there immediately. It has a New England seaside vibe with an eclectic pub menu. Mom and I will be back when the weather gets nicer because we definitely want to try out that screened porch. Eating delicious food while sitting by the town wharf? It doesn’t get any better than that.